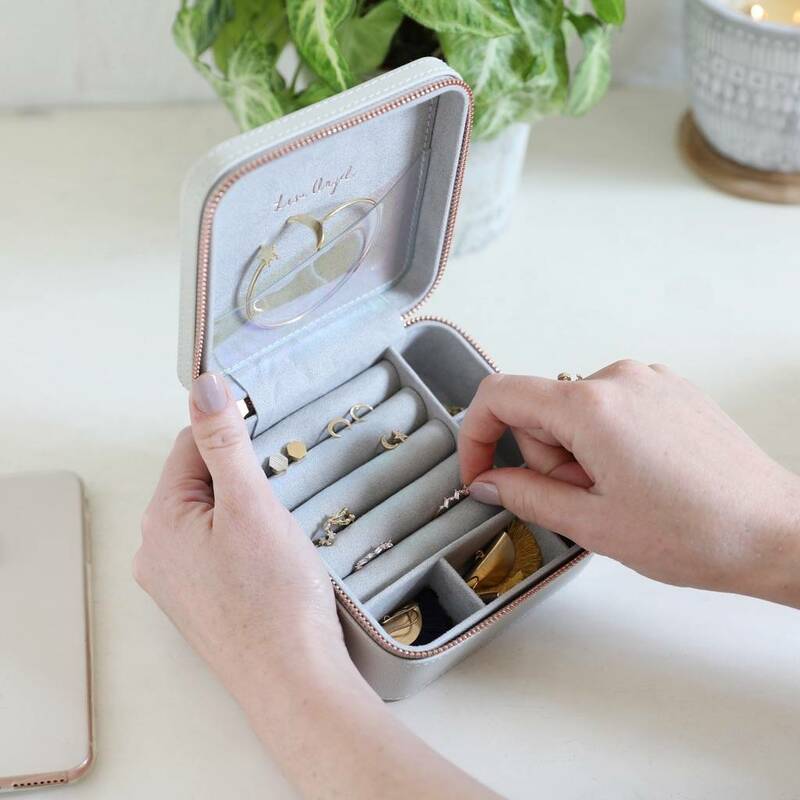 A sweet and simple personalised jewellery box made of soft faux leather, available in grey or lavender, designed by the Lisa Angel creative team. This gorgeous square shaped jewellery case has been designed by the Lisa Angel team for a much loved lady. 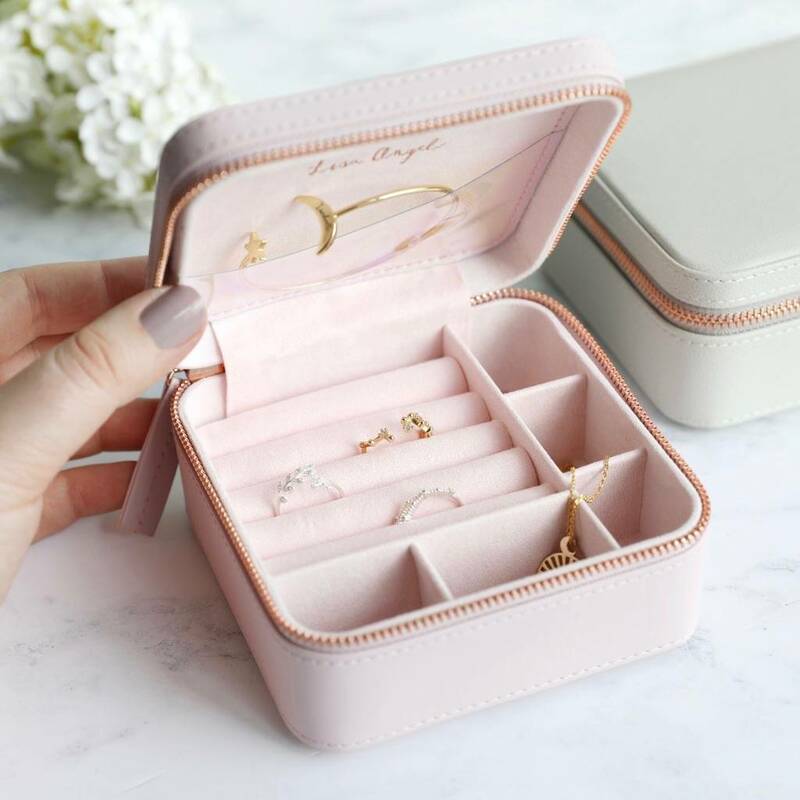 Made of brightly coloured vegan leather, this stylish jewellery box features velvet imitation ring rolls, sections, and pockets, plus a rose gold zip fastening to keep all your bits tucked neatly inside. 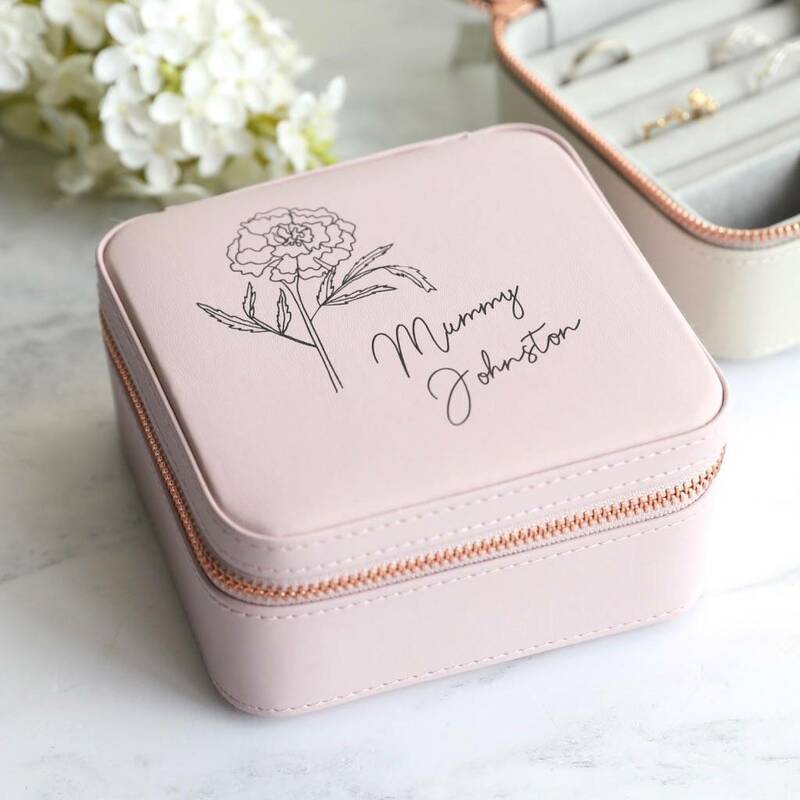 The top of the case will be personalised with your birth flower of choice, illustrated by our in-house team, along with two lines of your own personal wording. 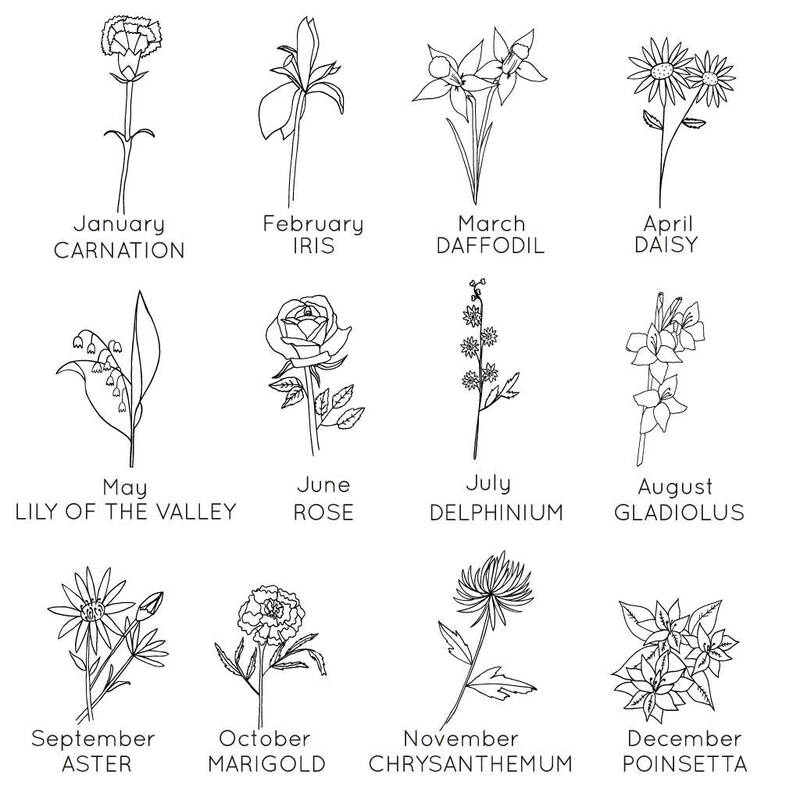 Each month has its own flower, and it's said that a person may inherit the characteristics of their birth month flower when born. The top of the square jewellery case will be printed with the birth month flower of your choices. Next to the flower is space for up to 2 lines of up to 10 characters per line including spaces and punctuation. Please note: this jewellery case features the Lisa Angel logo on the inside and base.